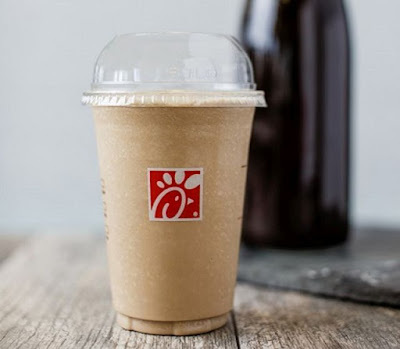 Chick-fil-A adds a frozen dessert option for their cold-brewed coffee with new Frosted Coffee set for a national launch on Monday, March 14, 2016 (although some locations started offering it yesterday). Available for a limited-time, the new drink blends vanilla Icedream soft serve with cold-brewed coffee (it's basically the coffee version of the Frosted Lemonade they introduced last year). It looks to be a creamier alternative to Starbucks' Frappuccino and McDonald's Frappes (which blend coffee with milk and ice rather than soft serve ice cream). Frosted Coffee can be found in small 14-oz or large 20-oz servings with prices starting at $2.69 for a small. 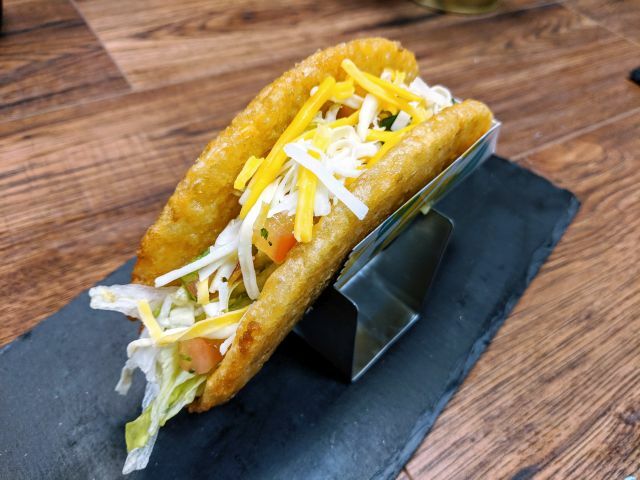 It will be available through May 31, 2016 although depending on your local Chick-fil-A, you can probably still get it after it's gone as a custom order (since both cold-brew coffee and Icedream are menu regulars). If you're looking for another menu hack to try, you can also ask for some strawberry puree mixed into your Frosted Lemonade and get a Strawberry Frosted Lemonade.